Okay so this is a confusing product. It is not considered a blush. 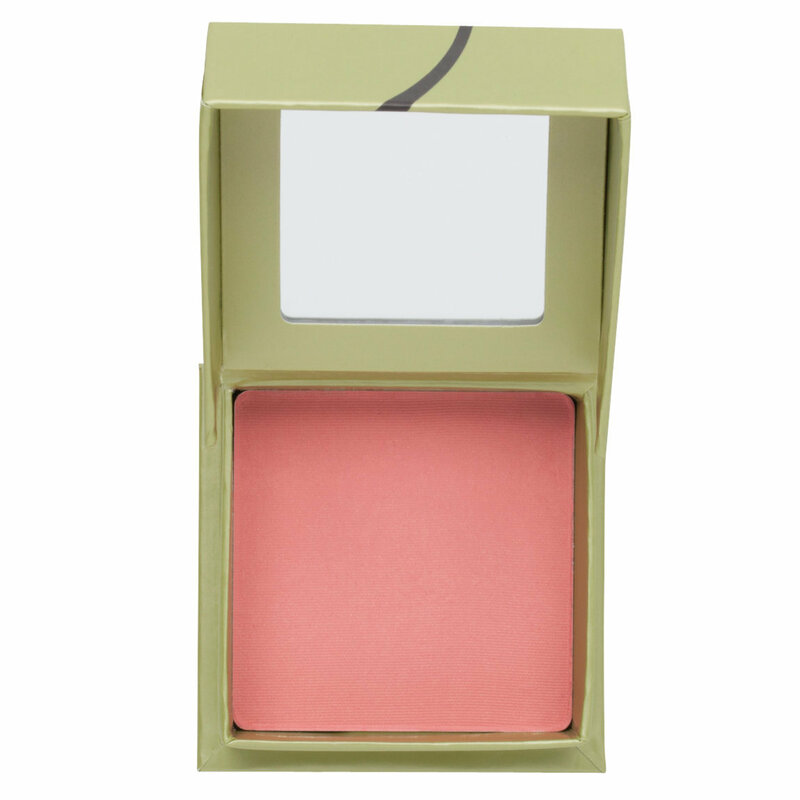 It is marketed as a highlighting powder, and is definitely not pigmented enough to really be a blush. However in my opinion it's a little too pink to be a highlighting powder - though it is quite shimmery. However I am starting to love this product. I usually use this on the apples of my cheeks with a stronger colour on the cheekbones. The packaging of this product is amazing. The box is so cute and comes with a little brush inside and smells fabulous. This runs for about $28US/$36CAN which is a little high for something that does so little - though for some people like me it is totally worth it. I would suggest looking at this product in person before buying it as it seems to chalk up fake expectations, even I thought it would be more pigmented but the key word with this product is highlighter. Overall a good highlighter with a bit of colour but don't buy this thinking what a great light pink blush this will be because it will probably disappoint. I know that Dandelion is a highlighter/finishing powder, but I am very pale and so I will often use it as regular blush. I'm a huge fan of the color, it looks like "natural glow" on me. It smells great, too. After applying liberally to the apples of my cheeks, I brush a bit on my nose, forehead, and chin as intended. Very glowy. I wear this blush everyday (when I wear makeup) it's absolutely perfect! I love simple blush! This was is that but gives me a beautiful radiant look on my cheeks. I've had this since Christmas 2012 and barely made a dent in it it's gonna last forever! It's real worth the money. Love it! I adore Benefit and I adore Dandelion. I'm very pale so a lot of blush looks harsh on my fair skin but dandelion is just the right pinkish shade that gives me a little bit of glow as well. Smells great too! The most natural, beautiful blush I've ever used. It's a sweet, warm pink with the slightest hint of peach. It smells lovely and soft, and has a very subtle shimmer that doesn't transfer onto the skin. Instead, it has a natural, skin-like appearance. I use a standard blush brush and it shows up perfectly on my NC20/25 complexion. Even though it's pricey at £23.50, a pan lasts years and is worth the money. When I'm tanned, I transfer over to Coralista. There are days when I am just NOT IN THE MOOD to put on my whole face - and on those days I have a small makeup bag that contains my FAST FACE. The blush/face powder I use is Dandelion. The pink shade is just lovely and it adds this wonderful flush of color that I think would be flattering on anyone. I've used it with just mascara and lip gloss in a pinch. Girly and sparkly :) gives a fab glow to your cheeks and that much needed sparkle.i will defo be using this during the winter months to give me that healthy glow which will be much needed.